C9000 is a leading gas chromatograph in Chromatec GC product line. C9000 has highest performances and able to meet wide range of applications. C9000 is fully automated, flexible, versatile instrument features a wide range of detectors, injectors and external automatic samplers and other devices. Possibility to install a wide range of capillary pneumatic control accessories like Dean’s switch microfluidic module and other low-dead volume collectors for capillary columns switching. Fully controlled by PC software or by optional external keyboard/display. Optional 7 inch Touch Screen LCD makes the operational more easier and helps to get fast information about instrument status. With wide range of detectors, injectors, valves in GC as well as many supplementary equipment, meets to a great deal of applications. Individual application testing of each GC at manufacturing, when turnkey solution is required, provides the best decision for the customer. Many detectors have the same seat, also injectors, valves, methanizer, other additional thermostatic options can be mounted into the same sockets. Based on such versatility C9000 can perform very complicated analyses as well as can be supplied as very simple GC possible to be upgraded in configuration for future applications. Suggested GC platform includes digital flow and pressure controllers (DFPC) for gas feeding built-in units. Number of DFPCs is specified in ordering specification and determines GC platform price. System units and components are easy in operation and service. 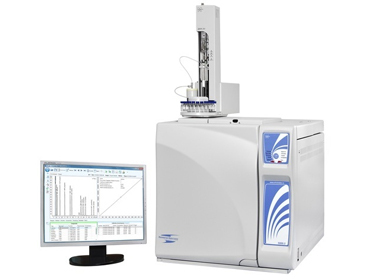 The instrument is suitable with routine and high throughput laboratories. The instrument configuration can be easily changed in minutes to respond to a specific work load by simply swapping injector or detector modules with pneumatic units. This unique structure of the systems lets customer get a maximum functionality by lowest cost.